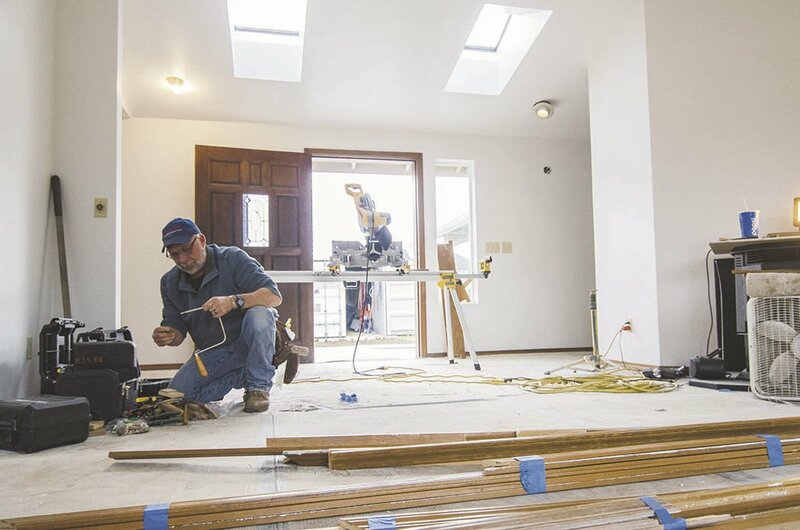 Gary Desch, a contractor of Lake Tapps Construction, works on the door framing at the new SITE House. Contractors recently finished paving the driveway for the new SITE House on the corner of Tornado Alley and Tahoma Boulevard. 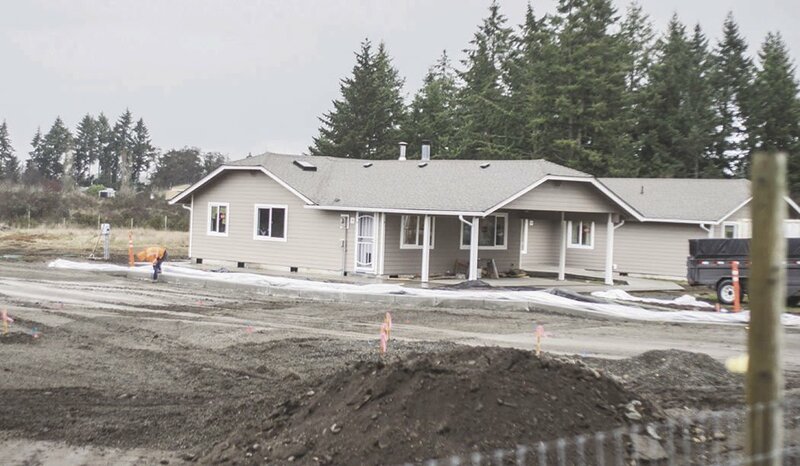 Yelm Community Schools’ Student Support department is planning its third move of the Supporting Independence Through Employment (SITE) House to a location closer to Yelm High School. The SITE House is expecting to move to a new and larger location on the corner of Tahoma Boulevard and Tornado Alley by spring of next year. The district paid $350,000 for the 2-acre property, which includes a 3-room, 3-bath house currently under renovation. The property is currently undergoing $153,000 worth of improvements, which includes paving a driveway, landscaping and septic work. The SITE House is an 18-21 year old program lead by Student Support, which assists special-needs students’ transition from high school into the workforce. The program offers training and volunteer opportunities for students to gain applicable workforce skills. SITE House teacher Nora Sutherland said she’s looking forward to moving to a larger location, even though their current location on the 400 block of Yelm Avenue works as a great access point to downtown businesses. “It’ll be interesting to see the things we don’t need and the things we do,” she said. Sutherland said she’s excited about the extra space at the new location because it will allow the students to work different training stations at the same time, such as organizing clothes and books. “Just the ability to have training stations that I don’t have to take down…” Sutherland said. The move to the new location could open up opportunities to serve more students, Sutherland said. The SITE House currently serves 12 students and has the resources to serve up to 16. Superintendent Brian Wharton said the district has always held an interest in the property behind the high school. The property would offer the district options to build another school if needed, and the decision to bring the SITE House closer to the high school gives the program the ability to closely collaborate with the high school. Wharton said it would be in the district’s best interest to sell the current property on Yelm Avenue following the move, although no concrete decision has yet to be made.